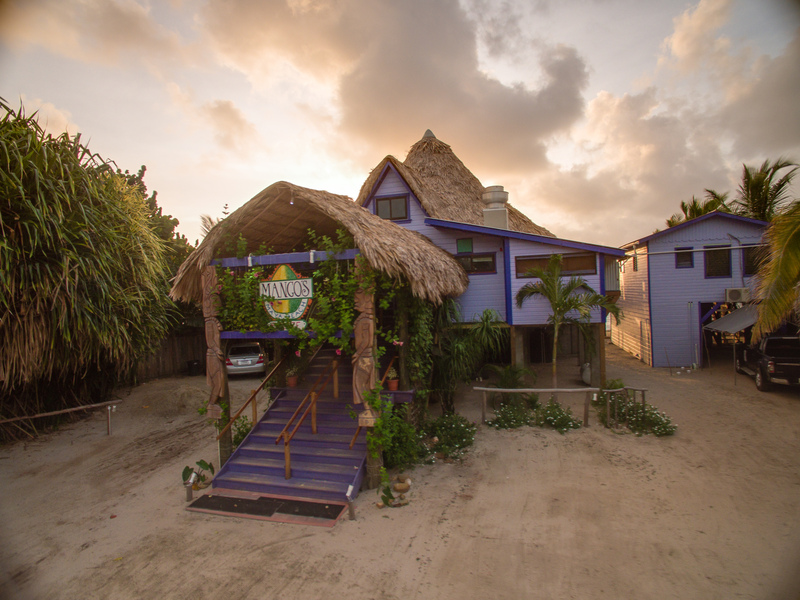 Mangos is a locally owned bar and restaurant located in Maya Beach, Belize (20 minutes north of Placencia Village). Mangos has been a local favorite for seventeen years and is known for being a great place to relax, meet new people, tourists and locals alike. Our restaurant has a unique structure with great second story views of the Caribbean…ambience second to none! There are plenty of places to socialize, have some privacy, as well as rooms for private parties. Our restaurant offers an assortment of culinary options ranging from American favorites to local Belizean fair. The key to Mangos is not just the fun atmosphere, consisting of locals, ex-patriots, and tourists, but also its fantastic food. Join us Wednesday-Sunday for Happy Hour 3pm-5pm and full menu 3pm-9pm! In addition, we’re pleased to announce that we now offer take-out. Come see what the buzz is about!